Two people sat down in the 1970’s and had a real talk about environmental issues, they brought to light Earth Day and from that has expanded what we now know as Earth Month. Earth Month happens every April and is dedicated to raise environmental awareness for the planet we love. 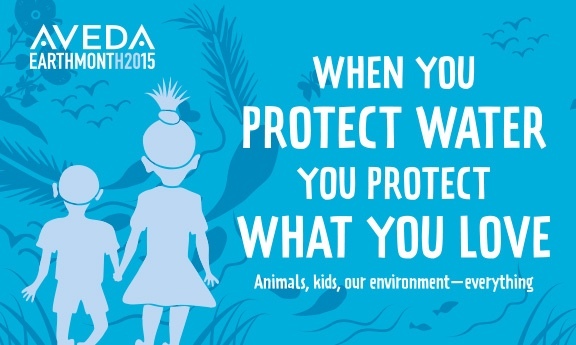 Since 1999, Aveda has raised over $30 million to help support non-profit Earth Month partners, with a large portion of that going towards clean water projects. At Kai we feel strongly about supporting and giving back to the community and it gives us much joy to have had an ongoing relationship with the Pinky Swear Foundation (formerly known as the Miracles of Mitch Foundation). In life we all aspire to stand for something grander than ourselves, and by giving back to a good cause, you can do just that. Before I get into the details of how you can help, let me give you a brief history on how the Pinky Swear Foundation came to be. It’s -177° (aaand that’s without windchill). Okay, I’m being dramatic, it’s not quite as cold as Mars, but it is arctic… and let’s be honest our skin is suffering. Being an avid Aveda user I have fallen in love with the Beautifying products to hydrate and dewrinkleize (if that’s not a word, it is now). 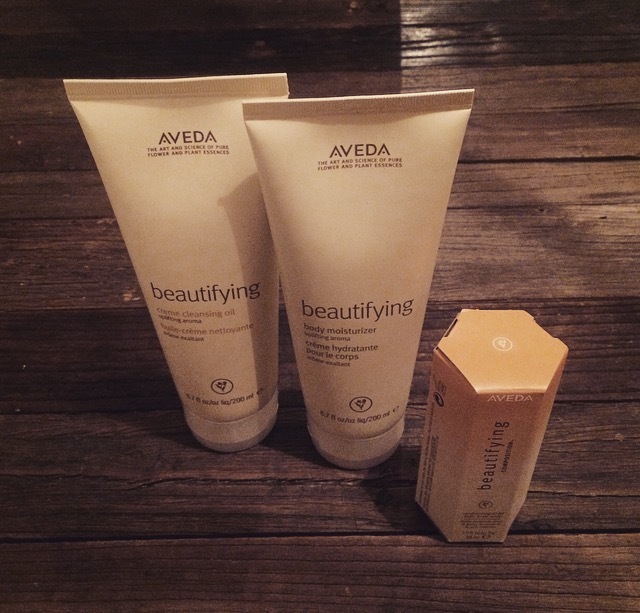 I want to talk about 3 of Aveda’s Beautifying products and elaborate on a favorite that has been a staple since the beginning, that being the Beautifying Aveda Composition. I could go on for days on the benefits of this gem but for times sake I’ll throw down some solid snaps to keep in mind. This composition is good for bath, body and scalp (so that means our whole epidermis… winning!). Throw it in your bath, use as a massage oil, add 2 to 3 drops to your body lotion and / or apply as an eye makeup remover (this area is high demand for dewrinkleization), really the options are endless. It’s February 2015 and Valentines Day just so happens to land on a Saturday, talk about the perfect setup for a romantic night out. You’ve got the outfit, the shoes, the accessories… but, what to do with hair and makeup?! Don’t fret, we’ve got the fix. Nothing says V-day like some bouncing waves and a bold lip, it really can be that simple to get him to say “Whoa, baby!” You’re on your own to practice the slow mo head shake and perfect pouty lip, but we’ve got your back on some quick and easy “how to’s” on how to create soft waves and a flawless makeup application for your night out on the town. Well hello there and welcome to the very first blog by Kai Salon. We are excited to hit the blogosphere with some of our hair and fashion insights as well as keep you looped in on whats happening in and around the salon(s) locations. I write salon(s) with a parenthesis because there are two Kai Salons, one in the northern Minneapolis suburb of Champlin and the second location tucked in the middle of Minneapolis’ fastest growing neighborhood, the Northloop. For convenience purposes and to keep up with the latest lingo we’ll be referring to the Northloop as NOLO. Both locations are Aveda concept salons and are definitely fly. Yes, I just used “fly” as a descriptor, one because I grew up in the 90’s and two because they really are. Let me break down the locations so you can understand each flavor.